I'm not so good at coding like others, but I love scratch! 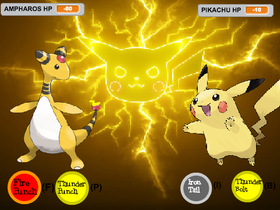 My best project I have so far is Pokémon fight. I have been inspired by other pro scratchers like kevin_eleven_1234, Will_Wam and griffpatch.